You may be a caregiver and not know it! Are you an Informal Caregiver? You may be a caregiver and not even realize it. Many families just pitch in and do what needs to be done to keep their loved one safe, comfortable and cared for. You probably are so are so busy every single day that you never stop to think about the stress you are under. The ADRC is here to help. Every family's situation is unique. We want to support and help you find the right type of help. Is the designated "on call" family member for problems. Nearly half (48 percent) of family caregivers are caring for someone who lives in his or her own home, while an additional 35 percent are sharing a home with the loved one they're caring for. Some are caring for a spouse or partner, many for a parent — all working to help that person stay at home for as long and as comfortably as possible. Your caregiving role might involve simply stopping by to check in every few days (if you live separately) or assisting with everything from bathing and meal prep to medication management and administering injections. Your caregiving role might involve simply stopping by to check in every few days (if you live separately) or assisting with everything from bathing and meal preparation to medication management and administering injections. Caregivers often feel all alone or isolated as they take on more and more responsibility. Their social lives move into the background. A support group is a good place to meet other family caregivers who really know what you're "living" every day. The ADRC of La Crosse County offers "Information & Assistance" - phone consultations, home or office visits, and family meetings to assess the situation and offer real solutions by linking families to community resources. We can connect you to these services. Services that might offer relief are respite care in area facilities, in-home care from local agencies or even adaptive equipment like bath benches, raised toilet seats, canes and walkers. Take the first step and call us. We will offer support while you decide what is the best plan for your loved one. The ADRC can be a part of the caregiving journey. Do you need some help? You are not alone! When your loved one is diagnosed with a chronic illness, such as Alzheimer's disease or other related dementia, a new chapter opens in your life as you begin your role as a caregiver. What are my roles and responsibilities as a caregiver? Is there help for me in the community? How do I deal with stress and burn-out? Where can I find support and assistance? How can I maintain balance in my life? Respite is a break for caregivers and families from daily or frequent caregiving responsibilities or demands. Respite Care is a service in which temporary care is provided to the person needing care so the caregiver would have some time to themselves to take care of their own needs, have fun, or simply to relax. Join us for Memory Cafe! The Memory Cafe is a fellowship opportunity for people living with memory loss, Alzheimer's and other related dementias and their care partners. Participants enjoy regular, social-interaction with others, laugh, learn and create community. Click here for additional information. Think about inviting the rest of the family or good friends to becoming part of the "team." Don't be afraid to ask for help. Most people want to help but just don't know what to offer. Find out what community programs could help such as home delivered meals, adult daycare or respite. Focus on what you are able to provide. 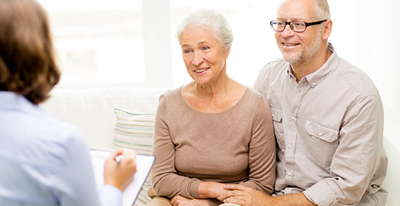 Advanced Directives forms from the WI Dept of Health Services - Advance Directives are documents to convey your wishes for medical treatment should you be unable to. Wisconsin's site with forms for your use. Source for document called Five Wishes - written in plain English, not medical or legal jargon, that helps people express in their own words their wishes for the kind of care they want in advance of a serious illness. Wellness Recovery Action Plan WRAP - The Wellness Recovery Action Plan® or WRAP® is an evidenced-based system that is used world-wide by people who are dealing with mental health and other kinds of health challenges. WRAP involves listing personal resources and wellness tools, and then using those resources to develop Action Plans to use in specific situations which are determined by the individual writing the plan. Coalition of Wisconsin Aging Groups - Offers lots of information on advanced planning, legislative issues for older adults and guardianship information, just to name a few. 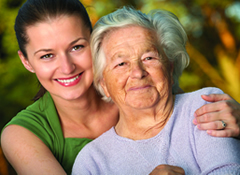 Eldercare Locator - Find agencies that serve the elderly in any part of the country. Greater Wisconsin Agency on Aging GWAAR - A nonprofit agency that supports the Wisconsin Aging Network, through training, technical assistance, and advocacy. Provides oversight for Administration of Older Americans Act services in Wisconsin. National Institute on Aging - Packed with information and research. Goal is to understand the nature of aging and to extend the healthy, active years of life. Substance Abuse Treatment Facility Locator - This searchable directory of drug and alcohol treatment programs shows the location of facilities around the country that treat alcoholism, alcohol abuse and drug abuse problems. Alzheimer’s Association - Provides information and services to people with Alzheimer’s , caregivers, researchers, physicians, and health care professionals. Mayo Clinic Alzheimer's Disease Center - Contains articles on driving, nutrition, communication, stress management, depression, caregiving tips, including interactive caregiver stress tools. The Alzheimer's Project - THE ALZHEIMER'S PROJECT shows there is now genuine reason to be optimistic about the future. Created by the award-winning team behind HBO's acclaimed "Addiction" project, this multi-platform series takes a close look at groundbreaking discoveries made by the country's leading scientists, as well as the effects of this debilitating and fatal disease both on those with Alzheimer's and on their families. Includes videos and a website packed with information for both caregivers and providers. Wisconsin Alzheimer's Institute - Part of the University of Wisconsin School of Medicine. Provides listing of local diagnostic clinics, education and training opportunities and much more. Benefits; i.e. Medicaid, Medicare, Prescriptions, Veterans, etc. ACCESS Wisconsin - A quick and easy way for people who live in Wisconsin to find out if they might be able to get help with buying food, low or no cost health care or help with buying prescription drugs. Medicaid in a Nursing Home When Married - Spousal Impoverishment - Facts about avoiding spousal impoverishment if you are married, in a nursing home and your spouse is living in your home. Medicaid in Wisconsin - Contains links to medicaid publications, information on eligibility and so much more. Medicare Savings Plans - Also called Medicare Premium Assistance. Information about help with paying for medicare premiums. Medicare Web Site - The official medicare web site. Information on all federal programs associated with medicare, including supplemental insurance, medicare part D, and much more. Needy Meds - Information about programs that offer financial assistance for paying for medications. Senior Care - Wisconsin - Prescription drug assistance program for Wisconsin residents age 65 and older who meet eligibility criteria. Social Security Administration - Federal Social Security web site. Calculate your benefit amount, get questions answered, forms, and more. Tax Forms & Filing - Federal - Information and forms to file individual income tax returns - including how to file electronically - FREE. Veterans Affairs - Wisconsin - Learn about veterans benefits in Wisconsin, locate the veterans office in your area. WI Medicaid Estate Recovery Program - Information about recovery of medicaid benefits from the estate of deceased participants. Family Caregiver Alliance Fact Sheets - A collection of caregiver-related Fact Sheets available at no charge. Hospice Foundation of America - Provides information about Hospice and resources, offers readings, and provides an opportunity to share your story with others. National Alliance for Caregiving - Provides support to family caregivers and the professionals who help them and increases public awareness of issues facing family caregivers. National Family Caregivers Association - Educates, supports, empowers and speaks up for the more than 50 million Americans who care for loved ones with a chronic illness or disability or the frailties of old age. Wisconsin Dementia Care Specialist Program - Find the Dementia Care Specialist nearest you, plus learn more about this grant-funded program, designed to bring resources, programs, and professionals to residents in 26 counties across the state. Alzheimer's Association - As the leading voluntary health organization in Alzheimer's care, support, and research, the Alzheimer's Association website contains valuable information for people with dementia, their loved ones & caregivers, and professionals. National Institute on Aging - Through the National Institute on Health, the National Institute on Aging provides information, resources, links, and publications on all things aging, including dementia. Small Changes Make a Dementia Friendly Community - Watch this short video based on the perspective of Mary, an elderly woman living with Alzheimer's disease in her community. See how a little time and consideration make a huge impact! Published by the Alzheimer's Society, Great Britain. A Hospital Stay with Dementia - Told through the eyes of Barbara, an elderly woman with dementia, see this short video on what it is like to have dementia & stay in an unfamiliar setting: a hospital. Published by Guy's & St. Thomas' NHS Foundation, Great Britain. Caregiving with Dementia- Teepa Snow - Teepa Snow is regarded as a leading educator on dementia, taking an approach to care that focuses on changing the caregiver's behaviors in order to have a more positive relationship with the person with dementia. Visit this link to her website, or check-out her materials at the ADRC. What is Alzheimer's Disease? - These short "pocket" films from the Alliance for Aging Research are designed to be viewed anywhere. Take a minute to watch...help reduce stigma, improve care, and help the public fight against the disease. Lewy Body Dementia Association, Inc. - Learn about LBD, find support, get up to date information for persons effected by, their families, caregivers and professionals who serve them. WI Board for People with Developmental Disabilities - The board was established to advocate on behalf of individuals with developmental disabilities, foster welcoming and inclusive communities, and improve the disability service system. Wisconsin Developmental Disabilities Network - Creates and presents a wide range of education events throughout the year. American Diabetes Association - Nutrition, fitness, lifestyle, prevention information for adults and children. Advocacy, research, treatment. CDC National Diabetes Education Program - The Centers for Disease Control and Prevention (CDC) has lots of information and tutorials on all things diabetes. If you are living with diabetes or have a loved one with the disease, use these resources to make healthy lifestyle choices. Disability Rights Wisconsin - Protection and advocacy for persons with disabilities. Waisman Center - The Waisman Center provides clinical care through 12 specialty clinics across the state through a collaborative partnership with the University of Wisconsin Hospital and Clinic systems. The center provides full, detailed early assessments and evaluations of children with developmental disabilities. In addition, the Waisman Center conducts research, has training opportunities for students and the surrounding communities, services for individuals and families of those with developmental disabilities, and outreach into the community. Wis Division of Vocational Rehabilitation - Provides employment services and counseling to persons with disabilities. Training and technical assistance to employers regarding disability issues. Epilepsy Foundation - Advocacy, research, treatment, articles all you need to know for all ages. Wisc ALS Association Chapter (Lou Gehrig's Disease) - Dedicated to the fight against ALS. Information on research, education, advocacy and community services. Exercise & Physical Activity Guide for Older Adults - Exercise & Physical Activity: Your Everyday Guide from the National Institute on Aging. A practical guide to help get you moving. Everyday tips anyone can implement. Consumer Financial Protection Bureau - New financial information tool for consumers. Get information about how the bureau enforces the law for instance how they supervise financial institutions. Read articles about financial topics. Provides an avenue to file complaints if you've had a problem with a financial product or provider. Federal Citizens Information Center - Federal Consumer Information Center in Pueblo, Colorado. Free publications on a wide range of topics. U.S. Internal Revenue Service (IRS) - Official IRS site. Forms and e-file available here. Wisconsin Department of Agriculture Trade & Consumer Protection - Great source of information about food safety, environmental protection, farming, animal welfare, how to file a complaint, laws, and so much more. Wisconsin Ombudsman - The Long Term Care ombudsman responds to complaints and problems of residents or recipients of long term care, such as community care, care in nursing homes or community-based residential facilities. Wisconsin State Legislature - Legislature information including an easy way to find your state representative and senator. AARP Grandparenting Page - Grandparenting issues from being part of your grandchildren's life to raising them. Grandparenting Today - Provides a variety of information for grandparents raising grandchildren, including legal, financial information and emotional support. Guardianship of Adults - State of Wisconsin website with information about guardianship, including rights and responsibilities of the guardian and rights of the person under guardianship. Guardianship of Adults Handbook - Handbook: Provides an overview of guardianship of adults in Wisconsin who meet the standards for a finding of incompetence, alternative ways of providing decision-making support, and ways to tailor guardianships to individual needs. It is aimed primarily at people involved in trying to assist adults who need support in decision-making due to impairments in their ability to receive and process information, including family members, advocates, support service providers, and educators. Produced by WI Dept of Human Services, Bureau of Long Term Support. Guardianship Support Center at CWAG - The Coalition of Wisconsin Aging Groups (CWAG) Guardianship Support Center (GSC) is a statewide resource for information about guardianship-related issues. WI Circuit Court Guardianship Forms - Wisconsin forms used for Guardianship issues. WisPACT - WisPACT stands for Wisconsin Pooled and Community Trust. WisPACT Special Needs Trusts are created to help preserve the assets of people with disabilities without endangering their eligibility for public benefits or placement on waiting lists. ABC for Health in Wisconsin - Source for My Health Insurance Guide Book. Advocacy and Benefits Counseling (ABC) for Health is a Wisconsin-based nonprofit public interest law firm dedicated to ensuring health care access for children and families, particularly those with special needs or who are at risk. Choose MyPlate New Dietary Guidelines - Website: A whole new way to "visualize" a healthy diet. My Plate replaces the old food pyramid dietary guidelines. Website is packed with information about portion size, food choices and guidelines for children and adults of all ages. Tool to create a personalized eating plan. Healthline - Healthline provides a comprehensive overview of over 1000 health conditions for individuals and/or their loved ones. All information has been reveiwed for medical accuracy by an MD. National Institutes of Health - A great source for health information and research. Online Health Information: Can You Trust It? - Website: Learn when and how to trust online health information from the National Institute on Aging (NIA). Super Tracker My Food My Fitness My Health - USDA Website where you can set up your own personalized nutrition and physical activity plan. Track your eating and physical activity and get great tips and support to help you make healthier choices. FREE! Affordable Care Act Healthcare website - Website with information about the Affordable Care Act and signing up for healthcare. Medicare - Hospital Compare - Information on how well hospitals care for patients with certain medical conditions or surgical procedures, and results from a survey of patients about the quality of care they received during a recent hospital stay. This information will help you compare the quality of care hospitals provide. Talk to your doctor about this information to help you, your family and your friends make your best hospital care decisions. Medicare Video in American Sign Language (ASL) - An overview of the Medicare program, including what Medicare is, who qualifies, the four parts of Medicare (A, B, C, and D), new preventive services under the Affordable Care Act, and help paying Medicare costs. Patient Advocate Foundation Website - Advocates for persons with chronic illnesses who are facing a medical debt crisis, trouble with insurance access and/or employment issues. WI Dept Human Services Consumer Guide to Health Care - Website with links to use when you need to make a complaint about health care service you have received. There are different links for doctors, dentists, healthcare facilities, health plans, etc. Also a link with a guide for coping with large medical bills and expenses. Badger Rx Gold - Badger Rx Gold is a prescription drug program for uninsured and underinsured persons who live in Wisconsin. If you do not have health insurance, have health insurance, but do not have a prescription drug benefit, or are in a plan that does not cover the medicines you need Badger Rx Gold program may be able to help. BadgerCare+ Core Plan - Website with information and application for basic health care services for low-income adults, from age 19 through 64 who do not have children or do not have dependent children under age 19 living with them. COBRA - COBRA provides certain former employees, retirees, spouses, former spouses, and dependent children temporary continuation of health coverage at a group rate, when health coverage is lost due to specific events. The US Department of Labor has put together this publication that answers frequently asked questions about COBRA. Finding Insurance Options - Government site that helps individuals, families and small businesses see which public, private or community programs they are eligible for. Easy to use tool to which uses a series of questions to narrow the search to find the health insurance best suited to your needs. HIRSP Health Insurance Risk Sharing Plan - The HIRSP Authority is designed to help Wisconsin residents who qualify get access to high quality, affordable healthcare for Wisconsin residents. Persons who have a medical condition that’s preventing them from getting health insurance or who have lost their employer-sponsored coverage, should check this option out to see if they qualify. Get information about the plan and easy to follow steps to see if you qualify. Wisconsin Housing On-line Search Tool - Easy to use service available to anyone looking for a house or apartment to rent in Wisconsin. Use the on-line search or call toll-free 1-877-428-8844. Select a city to get a list of properties, click a property for more information about cost and amenities. Free for renters to search and landlords to submit listings. Click the link to go to the site and/or print this WIHousing Search flyer for future reference or to share with a friend. Family Caregiver Alliance Website - Great resource for information about hiring in home help and many other caregiving issues. Wisconsin Legislature - Find out who represents you! Long Term Care Fine Your Path Forward - Great website that steers you toward the important questions to ask yourself in thinking about long term care for yourself or a loved one. It's more than just insurance, it's housing, homecare, assistive devices, how to pay for services, making sure your wishes are known to your family. Helps you organize your thoughts and ask the right questions. Medicare and Current Employer Benefits - If you are eligible for Medicare, still employed and covered under a health insurance plan should you enroll in Medicare? This pamphlet answers very important questions about employer health benefits, employment situations, and in what circumstances should you enroll or delay enrollment in Medicare. Medicare Part D Extra Help - A program designed to help people get extra help paying for Medicare Part D plans. Administered by Social Security Administration. Staying Healthy My Medicare - Listing of Health screenings and preventive services that Medicare pays for. What care costs are covered for persons with Alzheimer's, cancer, or diabetes. Information about the Living Well Workshops that are offered right here in Brown County WI. Click this link Prevention Page and scroll down for information about upcoming classes. Retirement Planning Briefs - Society of Actuaries Schaumburg, IL (SOA) - SOA's Committee on Post Retirement Needs and Risks published a series addressing a variety of retirement decisions. The briefs are written in everyday language and offer practical considerations and advice. Some topics include deciding when to retire, what to do when retire comes too soon, finding a trustworthy financial advisor and much more. Taking the Mystery Out of Retirement Planning - Retirement is not that same as it was for persons who retired 10 years ago with guaranteed pensions and health insurance for life. Retirement now is a mystery - How to plan when you need to depend on your own work related and personal savings and Social Security? If you are 10 - 15 years out from retirement this booklet is for you. Upper Midwest Pension Rights Project - Funded by the U.S. Administration on Aging, this service provides free legal counseling to people of any age or income. This pension counseling project helps you understand your pension rights and claim benefits you have earned, regardless of the type of company you worked for or the type of pension plan involved. This service will also help locate lost pensions throughout your career. Obtaining a State Identification Card - State ID Card - How to get one free: If you do not hold a Wisconsin Drivers License and would like to obtain a state ID this website explains how to go about doing just that. If you request a ID Card for voting purposes you will not be charged. Go to this link for more information. BestColleges.com- Resources for Students with Disabilities - Website: This guide explains the legal rights for a student with disabilities, and the campus resources that can provide assistive services and tools. Find links to a number of sites, apps, and software resources designed to aid students with specific types of disabilities. Wisconsin Family Assistance Center for Education, Training & Support - Also known as Wisconsin FACETS. Resource for children and adults with disabilities and their families. Wisconsin Youth First - Unique website developed by youth, for youth. Wisconsin friends can keep in touch, about school, work and leadership activities. MTM Wisconsin Non Emergency Medical Transportation - MTM Wisconsin provides non-emergency medical transportation for specific Medicaid and BadgerCare Plus members. Their website offers information about their services, answering frequently asked questions, providing forms, instructions for members and their providers and an on-line reservation tool. American Foundation for the Blind - Learn about vision loss, how to live with it, employment, technology, etc. American Macular Degeneration Foundation - What is macular degeneration and what is being done to treat and find a cure. Living with Low Vision - Website from the Prevent Blindness America organization. Offers free materials and up to date information about resources to help persons who have low vision, who are losing their vision, and those who care for them. WI Department for Blind or Visually Impaired - Locate office in your area to receive valuable services. Information you can use, technology, techniques, equipment, etc. for everyday life, enabling you to live as independently as possible.